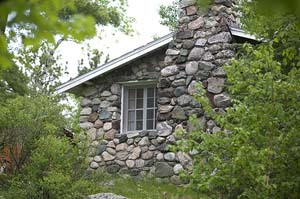 This accommodation is often called “Stone” due to its rock construction of native fieldstone. Guests love the feeling of stepping back in time to the 1920's when this was the early resort owners residence. Wood floors and a stone fireplace greet you in the first room which is a generously sized great room offering you a comfortable sitting area, kitchen and dining space. The kitchen has a full size refrigerator (with freezer), range top stove with oven, microwave, toaster, coffeemaker, pots and pans, dishes, wine glasses and utensils for four guests. You’ll find comfortable seating on the sofa and side chair, perfect to enjoy the gas fireplace. The first bedroom has two single beds; the master has a queen. The bathroom with tub and shower is accessed by passing through the master bedroom. 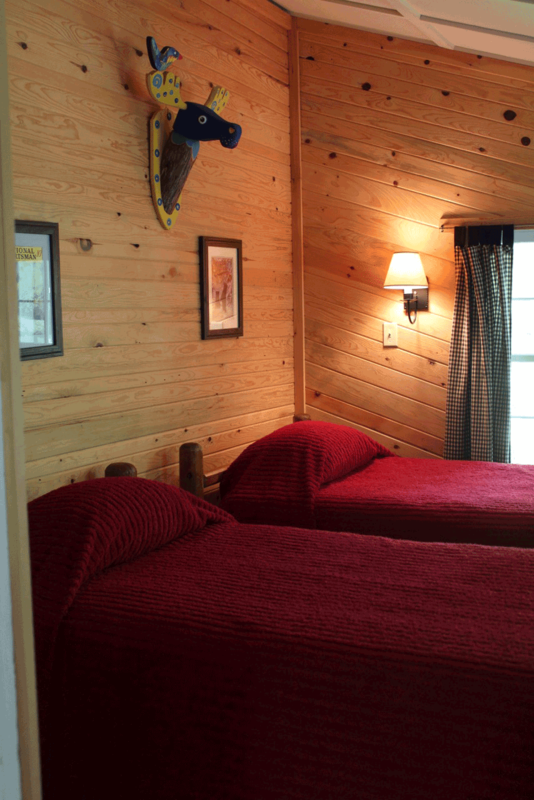 The cabin does not offer lake views but is a short distance from the marina and second beach. 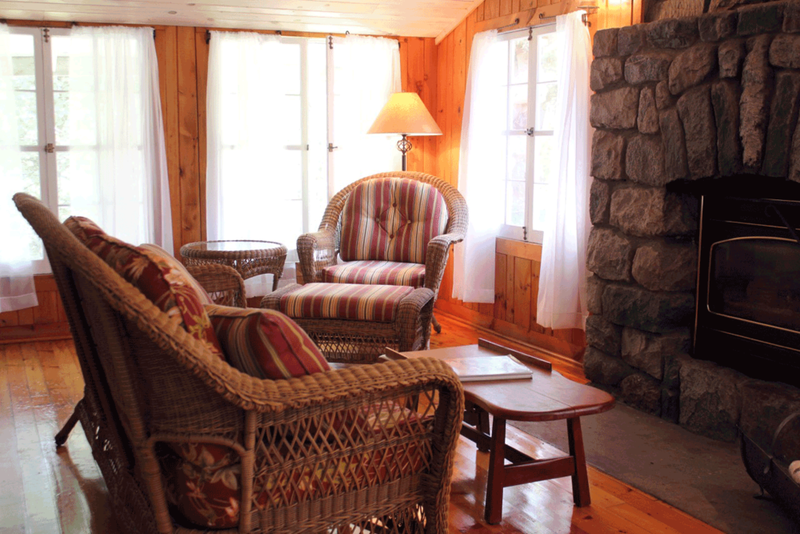 A deck is located near the entrance of the cabin with outdoor seating and a charcoal barbecue grill. Maximum capacity is four guests. The 2019 rate is $ 2,334.00 per week, or $ 367.00 per day.